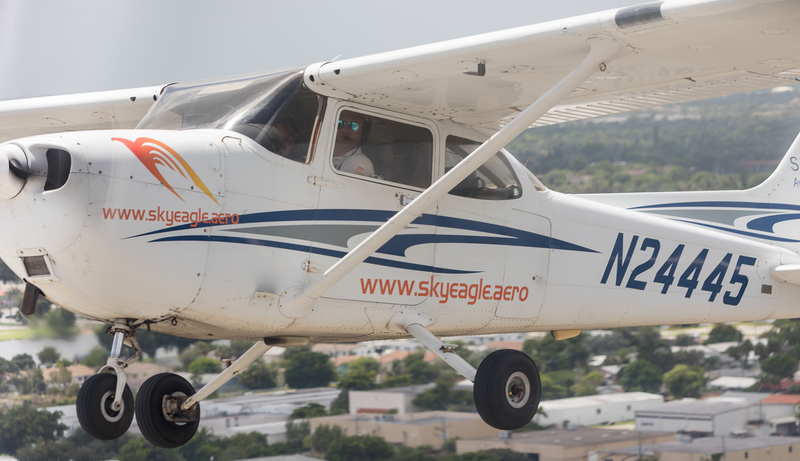 Our tour starts at Fort Lauderdale Executive Airport, at SkyEagle Air Tour office. There you meet a pilot, who will be your tour guide on this journey. 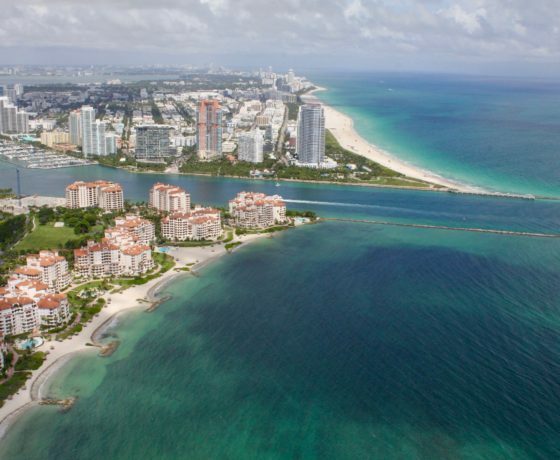 Along the way you will enjoy the spectacular views of luxury villas of Indian Creek Island, high buildings of Sunny Isles beach, nice and comfortable beaches of Fort Lauderdale, marine life and fancy yachts, port Everglades with big cruise ships, America Airlines arena and skyscrapers of Miami Downtown. 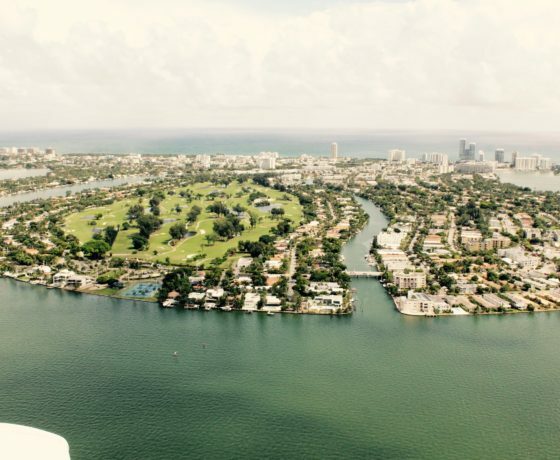 On our way back we fly over Venetian Islands, Fisher Island along South Beach with its always full of life Ocean drive. Don't forget to bring your camera! These photos are unique memories that will last for a lifetime. Please arrive promptly 30 minutes before your activity's start time to check in. 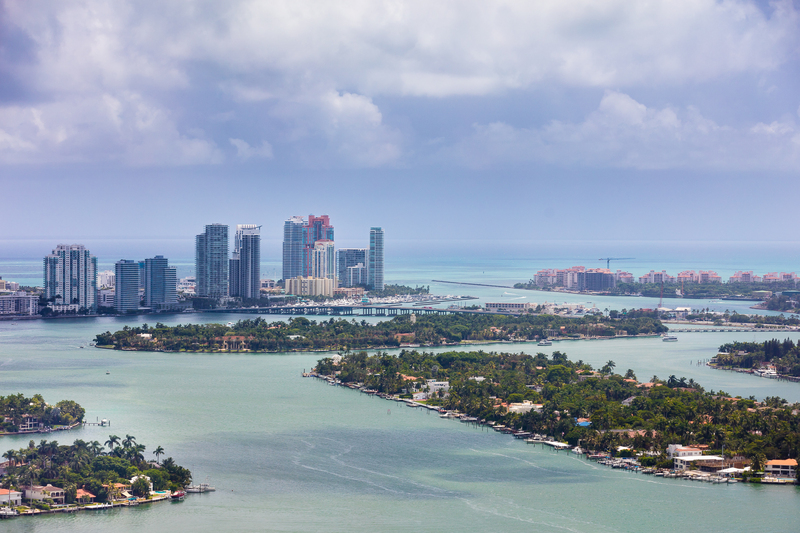 One of the most popular tourist cities in South Florida. 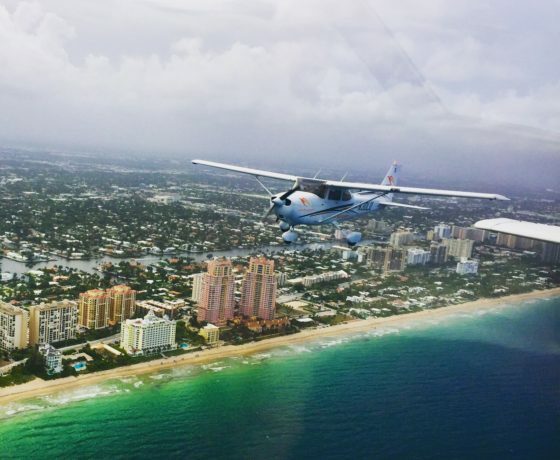 More than 560 hotels are located along the coast of Fort Lauderdale, that accept more than 10 million (!) Visitors a year. The city got its name in honor of Lieutenant Lauderdale, who led one of the three forts during the war with the Indians. The city was founded just over 100 years ago and started to develop in the 20's of the last century. Hollywood was founded in 1925. Joseph W. Young, the founder of this city, considered it the eastern extension of Hollywood City in California. According to his plan there should have been luxury hotels, Hollywood Boulevard, beaches and golf courts. But the effects of several hurricanes, the death of the founder and the Great Depression lightly changed these plans. Hallandale was founded in the end of the 19th century. 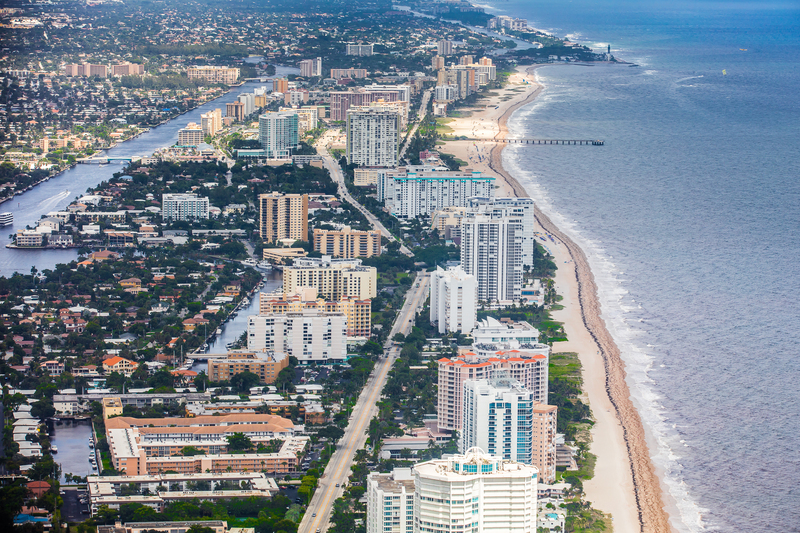 Like many other cities in Florida, it owes its appearance to Henry Flagler, founder of the railway and hotel chains, that helped Florida to receive an unprecedented popularity. Henry hired Holland Luther to find a suitable place for the organization of the settlement, somewhere along the path of the railway. Luther found such place and opened there the first retail outlet. For several decades he has been living in the settlement of only 12 families and the city was developing very slowly. Only in 1927 it was established as an urban settlement with 15,000 residents. 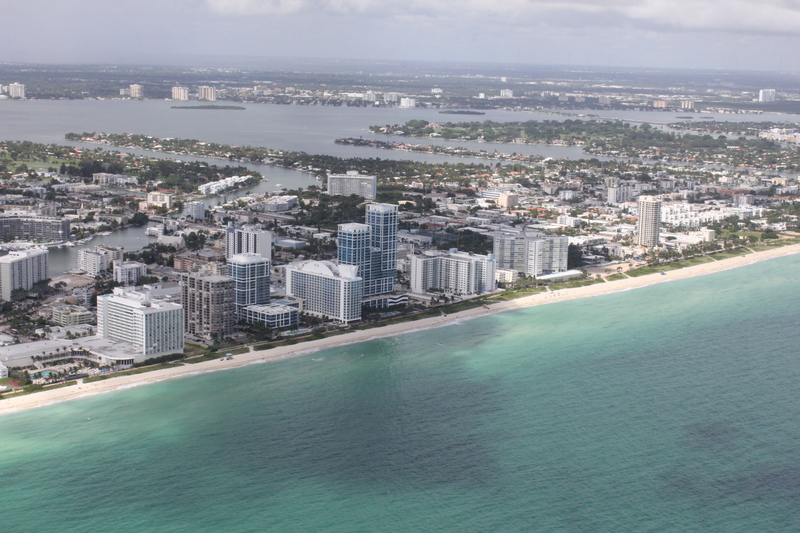 Now Hallandale has more than 35,000 inhabitants. 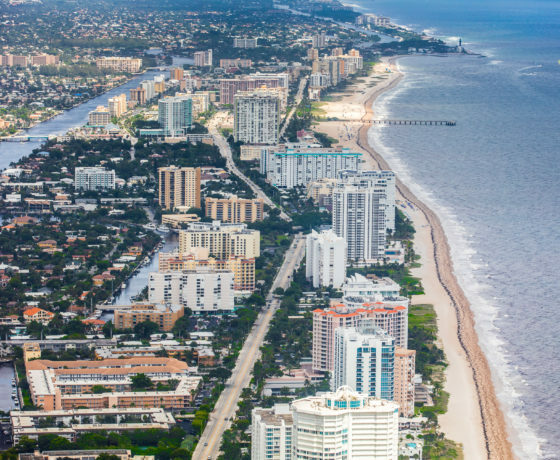 Golden Beach is one of the richest cities on the coast. The cost of most houses is more than a few million dollars. According to some reports here are the houses of Bill Gates and Rick Martin. The greatest fame for this city is the police, where they are as many as there are residents. Their main duty is to control speed level on Collins Avenue, the main street of the city. There is a joke that "a cyclist is again arrested for speeding in Golden Beach ". It is almost true. The speed limit is 35 miles in the city and you can easily get a fine for a couple of hundred dollars if you drive 36 miles per hour. 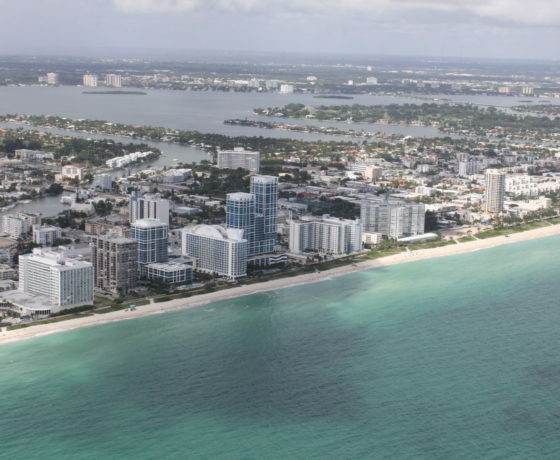 Sunny Isles is famous for its skyscrapers stretching along the coast. Amazing but it is true - the construction of the skyscrapers began not so long ago, in the 2000's. Up to that moment the same space was occupied by not so high (several floors) cheap motels, that have practically disappeared in the City of Sunny Isles by now. 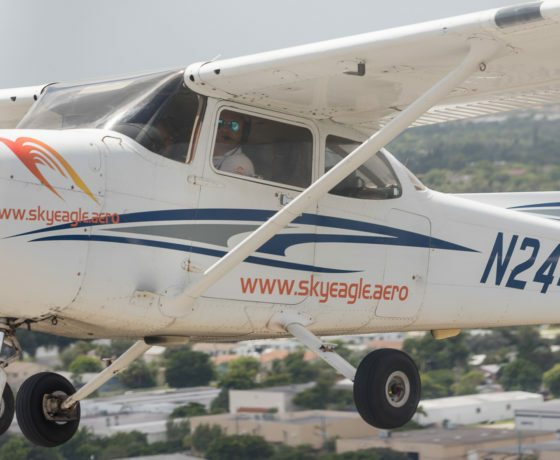 Unfortunately, the Federal Aviation Administration limits the height of the construction of the skyscrapers in Sunny Isles in the vicinity of Opa-Locka Executive Airport, otherwise we would have seen here different heights of the skyscrapers. The tallest building here is Mansions of Aqualina (196 meters high). The main point of our tour is Indian Creek Island. 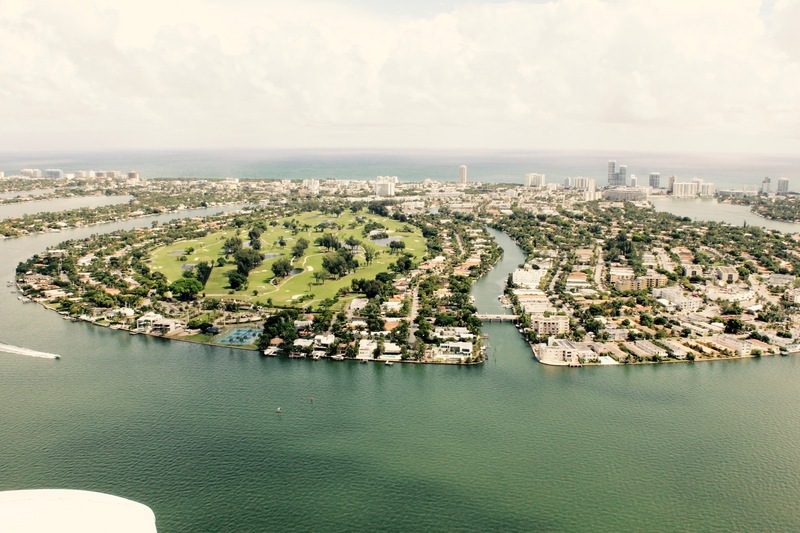 It is located on Intracoastal to the south of the Oleta Park. This elite island with 41 private buildings, occupies the 8th place in the United States in terms of income to the inhabitants of the island. They say, that Julio and Enrique Iglesias and many other known businessmen and celebrities own houses on this Island. There is also a huge golf club on the island. Miami Downtown is the heart and historical center of Miami. The first settlements appeared here in the early 19th century and the main construction started with the active assistance of Henry Flagler and thanks to the construction of the Eastern Railway in 1890. Today Miami Downtown serves about 200,000 people a day (including office workers, whose number increases each year), making it the third downtown in United States daytime population density after New York and Chicago. The downtown has a unique transport system - Metromover, which includes three routes and 22 stations and it is free of charge. There are more than 70 high-rise buildings (up to 120 meters or 400 feet). The tallest one is the 64-stored Four Seasons Hotel (240 meters or 789 feet). It is likely that this superiority in construction will not last for a long time, as there is already a permission from the FAA for raising of 320-meter building (above 1,000 feet). 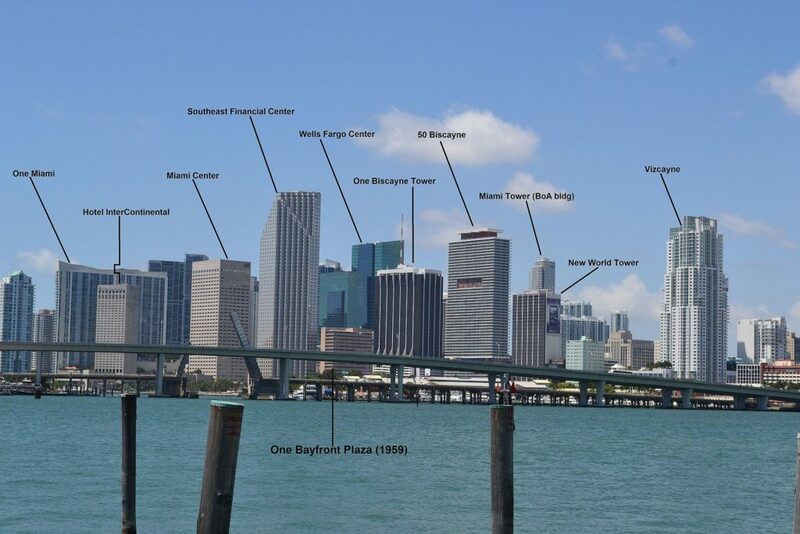 The Port of Miami is known throughout the world as "The Capital of World Cruises" and "Freight gates of America." It's no wonder, because for 20 years it has been the world's number one cruise port, serving 4 million people a year. 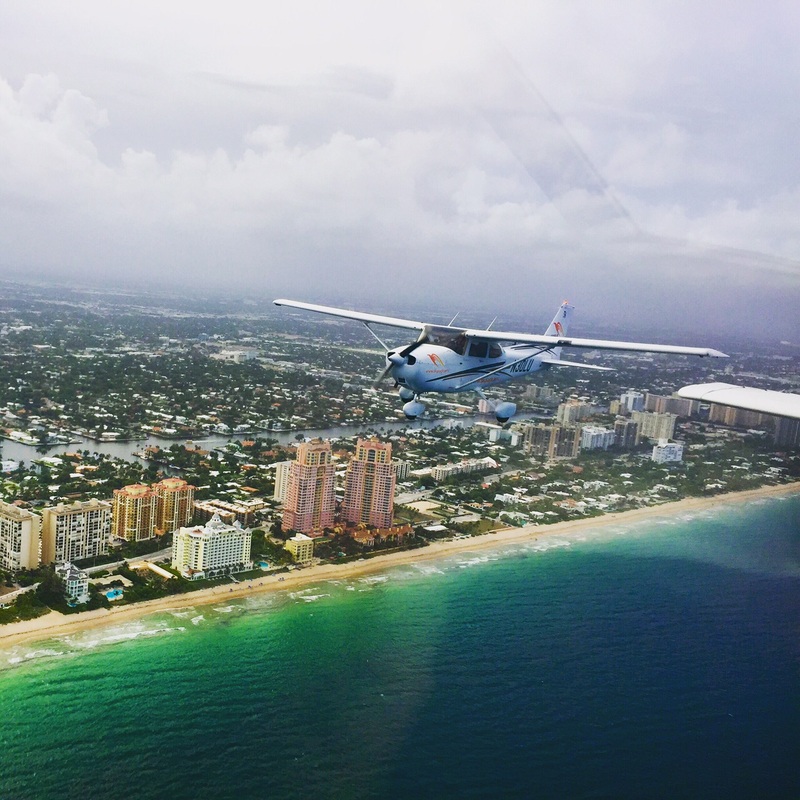 Now the part of loading works took over Port Everglade in Fort Lauderdale that we are also flying over on our route. 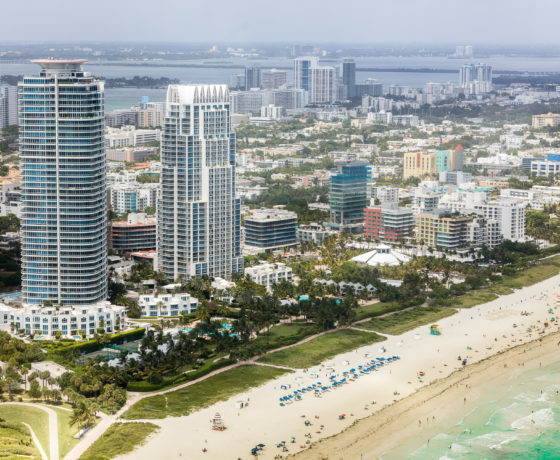 However, the major cruise companies such as Carnival Breeze, Carnival Ecstasy, Carnival Glory, Carnival Victory, Majesty of the Seas, Norwegian Getaway and Norwegian Sky are still based in the Port of Miami. 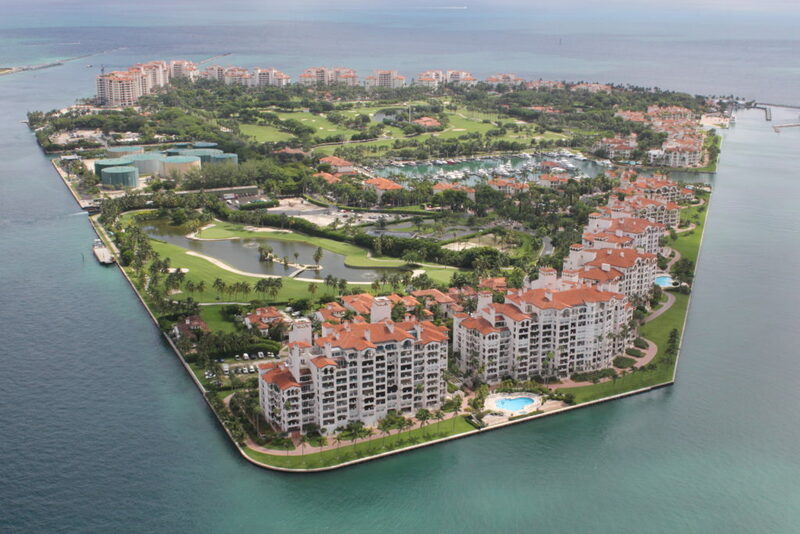 Fisher Island is one of the most private islands in the region. For a long time the island belonged only to the family of Vanderbilts, and was a place of thier residence up to the 60's years. Subsequently, the island was passing from hand to hand (even it was in disposal of former US President Richard Nixon) until it was sold to a group of developers, who began the development of construction on the island. Despite the fact that it is no longer private ownership of the only one family, access to the island is difficult due to the lack of bridges and tunnels (there is only a ferryboat). To get to the island without an invitation of someone of the residents or without someone who lives on this island is very complicated. 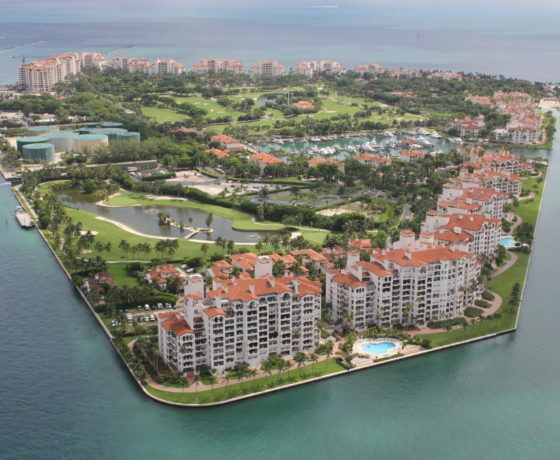 Fisher Island retains its elitism and accessibility for a narrow circle of persons. According to the latest population census, only 132 people are registered on the island. 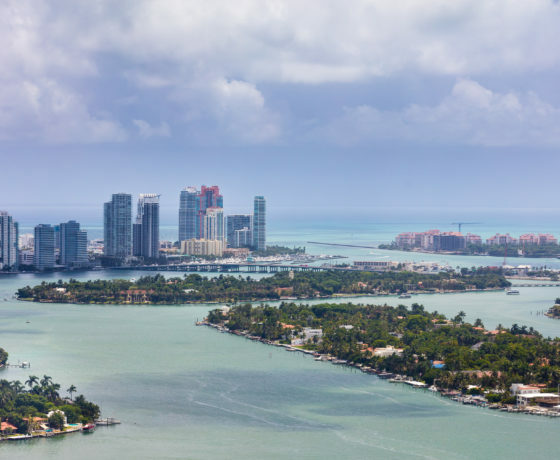 One curious fact is that the island was formed by the creation of a navigable channel between South Beach and the present Fisher Island to provide the direct entry to the Port of Miami. This happened in 1905, by the decision of the US government and got the name of Government Cut. 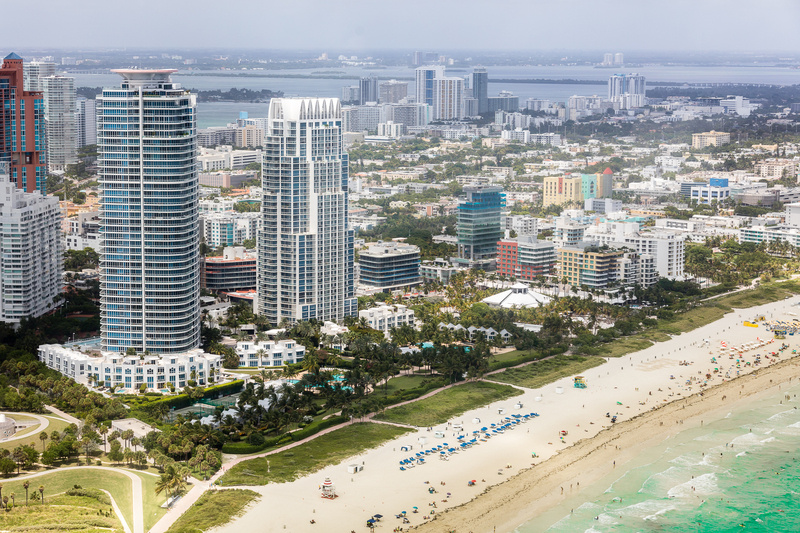 South Beach is a favorite destination for a large number of tourists and locals. It is the largest resort known for its entertainment, hundreds of nightclubs, restaurants, boutiques and hotels. This place is popular among European citizens, who have their properties here. 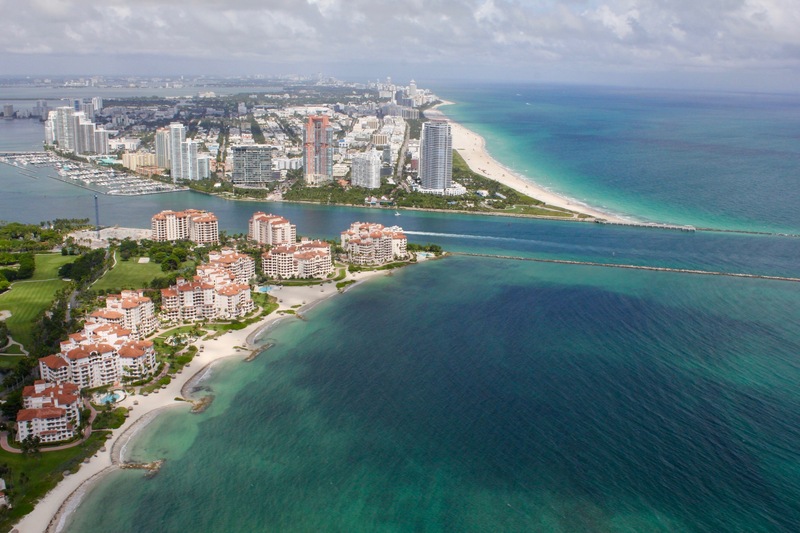 South Beach is multi cultural and multilingual place with numerous of museums and parks. Variety festivals, fashion weeks and music concerts are held on South Beach.